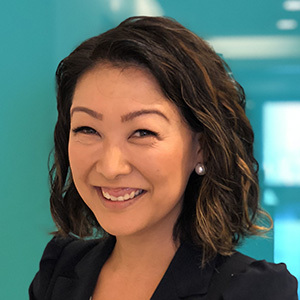 Julia Lee, equities strategist at Bell Direct, details the major events investors should keep an eye on this coming week and delivers her forecast for the markets moving forward. First of all, we’re seeing holiday volumes for all of January. After Australia Day long weekend, that’s when volumes get back to normal. So, this is when the market will start ramping up into half year reporting season, and we’ll start to see a trickle through of some of those reports next week. Monday is obviously a holiday here in Australia, but later on during the week, we’ll see half year numbers coming through from Credit Corp as well as GUD. Of course, the quality production numbers out of the resource space will continue on, so next week we’ll hear from Fortescue and New Crest Mining. These are some of the biggest ones that we’ll see quality numbers from. From an economic standpoint, things will start to speed up a bit as well. We’ll get inflation numbers here in Australia for the fourth quarter, where we’re expecting to see CPI increase by 0.5 per cent, and we’ll see US fourth quarter GDP as well, where we’re expecting to see 3.4 per cent. Although this data is backwards looking to last year, one of the things that markets have been grappling with is perhaps that we have seen a peak in growth for the US. So, not only will reporting season be important, but so will be those economic growth numbers to see whether we are seeing growth rolling over. In addition to those GDP numbers, we’ll see the FOMC meeting on rates in the US. The market is not expecting to see a change from the 2.25 per cent to 2.5 per cent that US rates are at, at the moment, but given the commentary coming through from the Federal Reserve chair as well as members around the Fed being less aggressive in hiking rates in 2019, the market will be once again looking for confirmation on that. The other part of the economic puzzle is numbers out of China, which have recently been quite soft and concerning to markets. We will be getting manufacturing reads out of China next week, including the official PMI numbers for January, and they will be crucial ahead of the Lunar New Year break that China will take the week after next as well. So, there’s a lot going on both on the domestic as well as the international front, on a company level as well as on from economic level. Firstly, the market has rebounded very strongly from the way we finished off 2018 and in the month to date is up almost 4 per cent. The market is grappling at the moment with the sell-off, which was quite extreme at the end of 2018. That’s likely to spark a bit of a defensive tilt to the year, in terms of investment strategy in 2019. Short-term outlook, we’re bouncing back from oversold levels into more normal levels for the market. The medium term, the market is grappling with whether we are close to the end of the cycle and we are seeing growth rolling over. Domestically, that half year reporting season will be incredibly important, given the weakness in the housing market and probably weaker growth in some of those domestic focused sectors like construction, engineering and the retail space.